The overarching concept of the selected reading is that we should think of things in terms of systems. If a community is thought of as a system in which all parts of it are interconnected, one event cannot occur without affecting all the other aspects of that system. Stemming from that concept is another one that I found significant, emergence. Emergence means that all the parts of the system acting together far exceed the outcome of the sum of the parts acting individually. On a similar note, when trying to address a specific problem in a system, one cannot address that with a single solution. Rather, the system must be analyzed as a whole in order to avoid incurring additional problems as a result of shortsightedness. Finally, one of the concepts that I found to be extremely significant is the need to establish greater equity. Broadly speaking, equity entails that individuals have fair access to power, opportunities, and resources. Because more than just a minority of the community members is empowered, the community is more stable overall. One of the passages in the reading that grabbed my attention focused on road congestion. Thinking about the concepts I noted above, it would be nice to see some of my local politicians applying these practices before deciding to build another state highway. And it seems like the same constituents lobbying these politicians to build more roads to ease congestion, are also the same people desperately holding on to the fantasy that their backyards will remain development free. Perhaps if people would chill out for a second and think a little further than what they want at that exact moment in time, there would be better growth policies in my state. Most of what the author wrote sounds great on paper, but I just wonder how practically her principles can be applied. She speaks of community building; how there needs to be a greater sense of trust between individuals and more social capital. Thinking about the neighborhood where I live, I become very skeptical as to how feasibly this could happen. The most interaction that occurs between neighbors amounts to a courtesy nod when you walk/run by their front yard. Oh, and then one time this summer a woman called my house to threaten turning my cat into animal control for scaring away the birds that came to her feeder. I just don’t see people coming together to discuss things like forming community compost piles and how to reduce waste. a) When communities are perceived as whole systems, and not as individual parts to be addressed separately, their ability to function for the benefit of the inhabitants increases. Sustainable communities are cyclical communities, where the health and well-being of the inhabitants is increased by the community’s ability to balance the inputs and outputs of the various systems in the community. In addition to serving what we might usually call “basic” human needs such as food, clothing and shelter, sustainable communities are communities in which other needs, such as “sense of community,” of the inhabitants are considered just as important. Our interactions, our community social life, or “social capital” is what drives our economic and democratic systems. By emphasizing strong social capital as the driver of our economic and democratic systems, these systems will be further enhanced, which will help to continue to generate social capital. b) Hallsmith was successful in pointing out some of the fundamental ways in which our cities are dysfunctional. Most prominently, I thought, was the inability of government to look at community systems as interrelated. The example of road deterioration in Randolph was a good description of a vicious cycle and the New England Capacity Building story demonstrated that community development can be much more successful in spurring economic development. Capacity building not only among citizens but also within government about the importance of community welfare and development could go far in solving some of the “vicious cycles” our cities have fallen into. I was intrigued by the “shifting the burden” archetype as an accessible example clearly demonstrating the concept of delay. As I believe that part of change is educating people about their behaviors, I found this example to be one that could be used effectively to communicate to a city how increased reliance on roads and cars will merely create more of what they see as the main problem: traffic. c. This was a very broad reading of the basic concepts of sustainability, which given the current condition of our cities, I would have benefited from more concrete examples of these concepts work when applied. It is difficult to look at the figures, especially those in Chapter 4, and imagine them matching the complex and muddied systems our cities have become. I have always been bothered by the idea that to create a sustainable community it is necessary to move out of the city and create a new set of systems. I was attracted to this class because of the emphasis on applying sustainability concepts to our current cities. This is the only way the community development process will reach those people in cities who need it most. Philosophers have developed ways to categorize all basic human needs and uniformly place our need for material possessions relatively low on the list of those needs if at all. Why is it then that so much of our society is based on fulfilling these material needs? Our reading suggests that material needs often substitute for other needs, and mention is made of the correlation between lack of training in the arts and a tendency to over-consume. The need to buy a new article of clothing, for example, satisfies Max-Neef’s need for creativity and possibly identity, and Manslow’s need for self-actualization. This substitution is flawed, however, and does not truly satisfy these basic requirements. As a result we consume greater amounts in the desire to fill that void. Vicious circles exist in all aspects of our society. The author gives several examples of these destructive or damaging cycles. One of these is the choice to fix heavily dilapidated roads over mildly damaged roads leading to an inefficient cycle of overspending on roads that if properly maintained would cost a great deal less to repair. Hallsmith talks about yesterday’s solutions becoming today’s problems, as a means to illustrate such short sighted thinking. An example outside of the area of public policy is the example of people’s need for social interaction and that need requiring time. The lack of ability to do so leads to the creation of TV relationships which leads to less time to form real relationships and back around again. Without recognition, this flawed substitution can lead to dissatisfaction and more of the substitution behavior or other attempts to fill the void. The mention of these circles could be seen as obvious… perhaps not providing us with any new or particularly clever insight into many of our and our society’s destructive behavior. Despite the model’s straightforwardness, a simple model such as this can help us to gain insight into our own vicious cycles… a process much more difficult than seeing these cycles in others. The concept of community capacity is a simple concept that cuts to the core of the question… What is sustainability? If a sustainable society is defined by the ability to go on for an indefinite amount of time, we cannot exceed our capacities and thus our ability to regrow or maintain those capacities over time. This is as close as I have come to finding a satisfactory definition of sustainability. Essentially, use only what can be replaced. Hallsmith extends the notion of capacity beyond relatively easily defined parameters in our physical world (environment, economy) into defining social capacity and linking the capacity for a communities amount of caring with that communities overall social health. a) Communities are dynamic systems where the whole is greater than the sum of its parts. In a community, different components interact in a cyclical way to either enhance or worsen the status of the community. Each component – individuals, organizations, government, and resources – is critical for the overall functioning of a community and is affected by all the other components of such a community. A sustainable community is one that improves the quality of life of its members without diminishing their ability to have a good quality of life over the long-term. The reason why communities exist is because they are crucial to meeting human needs. 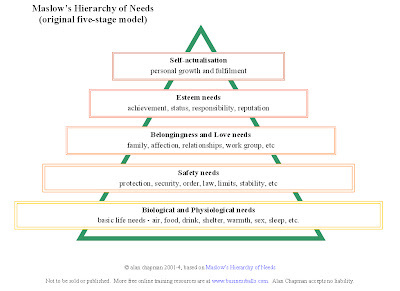 Individuals by themselves cannot meet all their needs, which include social, economic, governance, and resource needs. Sustainable communities work as a whole to meet all of the needs of its members and future members. A sustainable community relies on strong community capacities (economic, environmental, governance, and social) to enhance natural, financial, social, and human capital. Community capacity is the aggregate of assets, which are available in a community to satisfy human needs, such as education, food and shelter, material resources, power, and leisure. b) The reading about community structure and dynamics is essential to our course because it describes the inclusiveness that we will need to learn as a community. It also explains and provides examples of the way we must look at communities. In order to solve the problems of a community, we have to look at it as a whole rather than try to deal with individual components. This will be especially important with the community projects that are part of the course. In addition, the reading was particularly important to me because it supported my view that we must include all sectors of a community in decision-making and we must learn how to value the assets of communities (particularly environmental and social) if we want to achieve sustainability. c) I agree that communities are dynamic systems where components affect and are affected by other components within the system. I also agree that for communities to become sustainable, they must be inclusive and they must value assets. However, I am concerned why there isn’t discussion about the barriers that prevent these key aspects of sustainable communities from happening. Why is it that, despite calls from citizens, businesses, and other communities, most cities and communities continue developing unsustainably? Why is it that governance continues to be exclusive and that communities are far from valuing assets? I believe that these are concerns that have to be mentioned in any discussion about making communities sustainable because they are about real barriers that prevent us from moving forward.